Caring for a loved one with dementia can be both frightening and heart-wrenching. 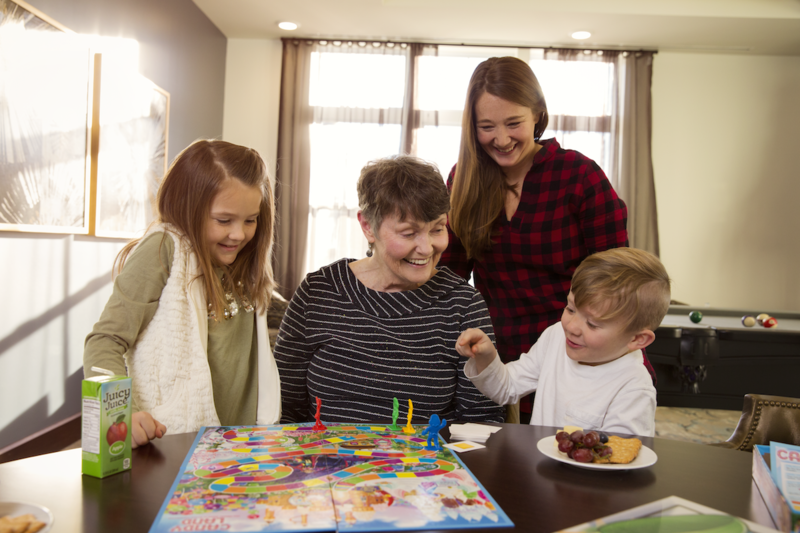 A senior who initially struggled with mundane tasks like remembering keys may eventually forget family members’ names and need extensive help with daily tasks such as bathing and getting dressed. Rest assured, your loved one is still in there. They just need some help to identify and assert their needs, occupy their minds and cope with the stress of living with dementia. A memory care community offers dementia care for people who need extensive help. These communities are more than just safe spaces. They help your loved one retain cognitive skills longer by keeping their minds active. They ease anxiety and depression with companionship and meaningful activities. They work with you to build strategies for dealing with problem behaviors. And they help your loved one remain physically active, reducing their risk of other health problems. Here’s what a day in memory care might look like for your loved one. Your loved one will awake to immediate companionship and assistance from a compassionate member of our staff. Over time, our residents form strong relationships with staff members; seeing a familiar face can be comforting to a senior with dementia. As the staff member helps your loved one get dressed for the day, they’ll talk—about the night before, about plans for the day or about family. If your loved one struggles with verbal communication, our staff might encourage them to sing or dance instead. Dressed and ready for the day, your loved one will eat a healthy and delicious breakfast in our dining hall. Or if they prefer a quieter meal, a staff member will bring their meal up to them. After breakfast, a day of activities and socialization begins. The way your loved one spends their day depends on their ability level and interests. At Arbor, we tailor our activities to the needs and skills of our community. We know that seniors with dementia can still do many things. Your loved one might participate in a yoga or strength-training class, go for a walk around the grounds or head out on a field trip to a local attraction such as a museum or botanical garden. At lunch, the community again comes together for a meal. Staff members float about to ensure everyone is comfortable and eating well. If your loved one needs help eating, someone will be there the entire time to support them. Because eating issues are a common complication of dementia, we’ll also monitor your loved one for signs of difficulty using silverware, swallowing or chewing. After lunch, your loved one might retire to their room for a nap or meet a friend in the community space for quiet chatting, knitting or another activity. As evening draws closer, they might attend one of our social events. We celebrate various holidays year-round, plan themed events, and host dances and birthday parties. Your loved one will never be alone or frightened. They’ll never be pressured to do something they don't want to. And they’ll never again feel overwhelmed by fear because they can’t do something they once did. We help, support and understand at every step of the dementia journey. At Arbor, we know that dementia can feel scary. We offer families relief from the challenges of caregiving, so they can again enjoy their relationship with their loved one. We can help your loved one thrive, even in the face of dementia. To learn more, schedule a tour or download our guide to dementia.